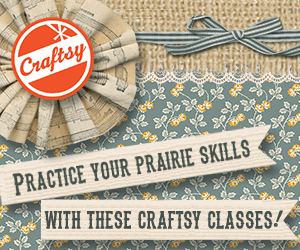 Laura Ingalls Wilder was a teacher, seamstress, farmer’s wife, journalist, farm loan administrator, and an author. 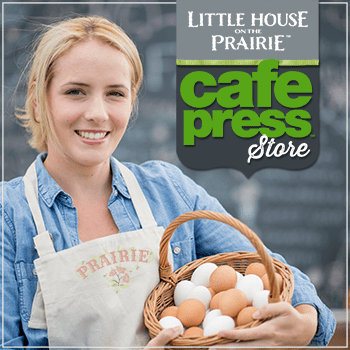 It was her role as writer of the Little House books that brought her lasting fame. And another job. She was the first, but unofficial, tour guide at her home on Rocky Ridge Farm near Mansfield, Missouri. Readers of the Little House books not only wrote fan letters, they often stopped at the Wilder home, hoping to meet the author. Laura graciously welcomed visitors, showing them through the rustic home where she did much of her writing. 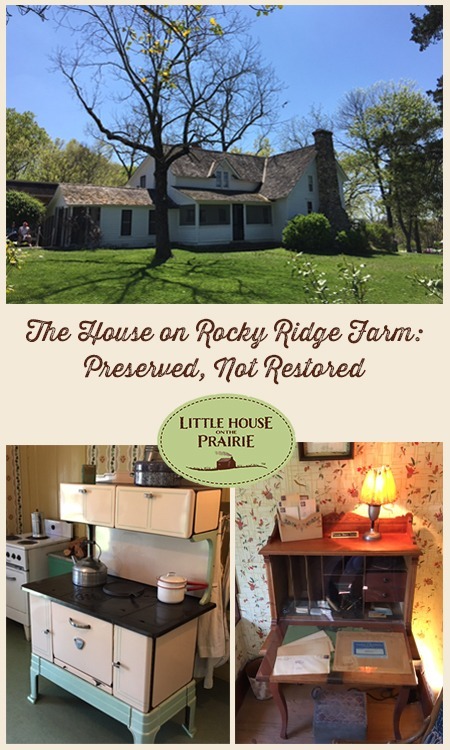 Imagine, getting a tour of Rocky Ridge farmhouse, from Laura herself. The house still stands placidly on Rocky Ridge. It is surrounded by great, old trees, which create a green backdrop in spring and summer, and a panoply of color in autumn. 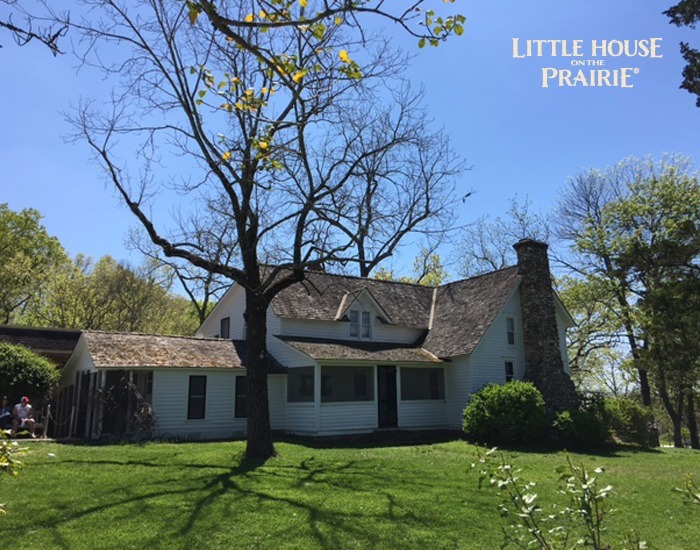 The historic farmhouse where Laura and Almanzo Wilder spent most of their married life looks as it did during the 1930s and 1940s, the era when Laura wrote her books of pioneer life. 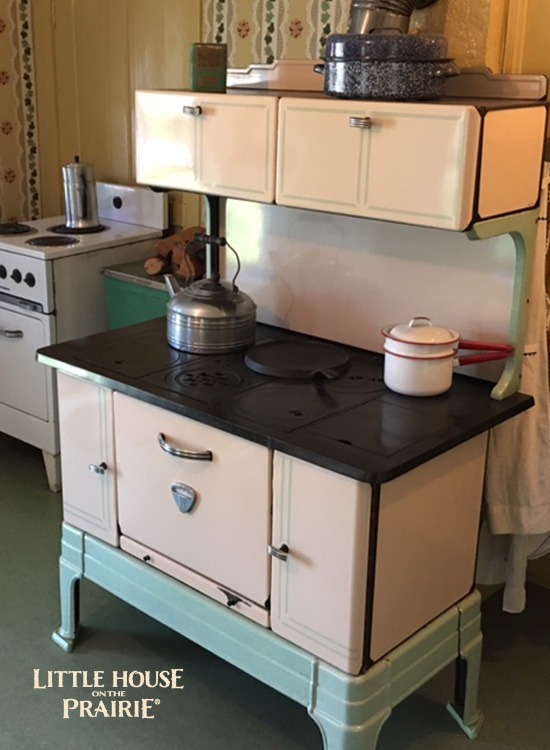 COURTESY OF THE LAURA INGALLS WILDER HISTORIC HOME AND MUSEUM IN MANSFIELD, MISSOURI. The Wilders loved Rocky Ridge farmhouse. It began small, but grew from its 1895 start, until completion in 1913: a rambling ten-room house, with porches and windows placed to enjoy the landscape. Laura and Almanzo also valued the surrounding land — rugged, rolling; punctuated by a deep ravine and steep hillsides. They labored to make their land productive as a dairy, poultry, and fruit farm. At the same time, Laura honed her skill as a writer. Almanzo died in 1949, and when Laura died in 1957 her Mansfield friends were moved to preserve the Wilder home. They knew of Mrs. Wilder’s fame, and the many letters and visits she received from readers. Her daughter, writer Rose Wilder Lane, pondered over the future of her parents’ house full of antiques and keepsakes. When Mansfield citizens, led by L.D. Lichty, proposed opening the Wilder home to visitors, Rose was agreeable. The Laura Ingalls Wilder Home Association formed. L.D. and Irene Lichty were the first curator team. Rose had a curators’ house constructed for them, so the property could be constantly supervised. For decades the Lichtys served with dedication. 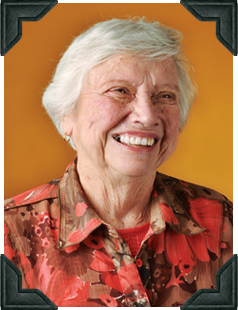 Following them was Connie Tidwell, who brought her own verve and passion. In 1993, Jean Coday, the current president of the Laura Ingalls Wilder Home Association, stepped in. Wilder Home tours started almost immediately. This was preservation, not a restoration; contents of the house were religiously left as they were when the Wilders lived there. Volunteers enabled the project; many still do today. Tours of the house start in the cozy kitchen; move into the dining room, bedroom, and Laura’s writing study. Most of the rooms seem diminutive. In the kitchen, the counters were purposely low, to accommodate Laura’s small stature. (She admitted to being 5’2″). 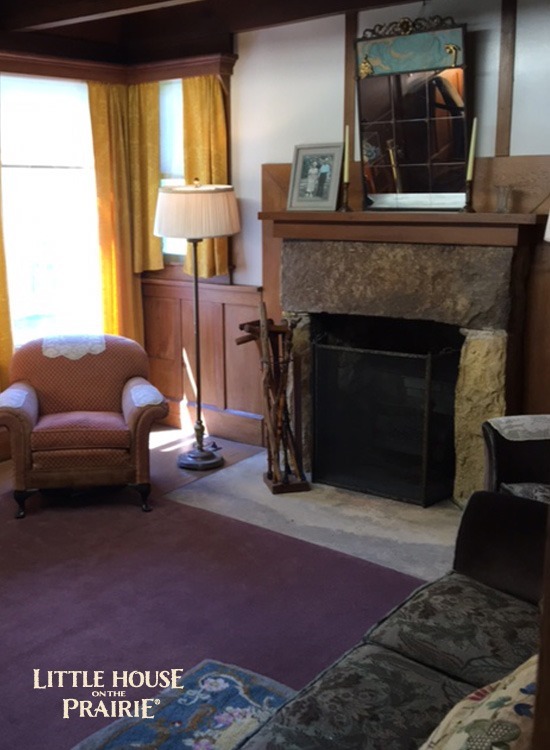 The home’s finale is the big parlor and music room. These are all rooms with stories: of writing books, parties, candlelit dinners, dances and years of family life. It is a house of happy ghosts. Now, new memories are created as tourists from all over the world tour the house and experience the Wilder life. COURTESY OF THE LAURA INGALLS WILDER HISTORIC HOME AND MUSEUM. Visitors, numbering into the millions by now, are awed by the remaining Ingalls-Wilder artifacts. “There’s Pa’s fiddle” kids cry out, when they spy the familiar violin mentioned throughout the Little House books. The fiddle is perhaps the most reverenced relic. Laura’s penciled manuscripts, written on lined school tablets are a close second. 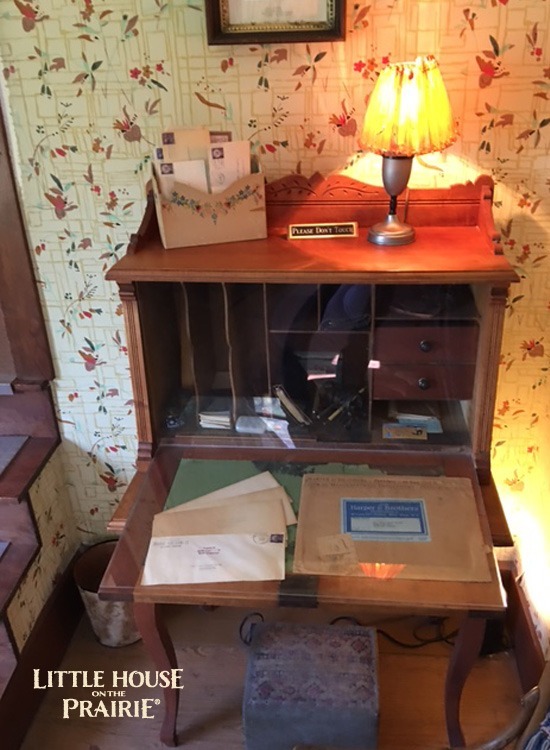 Clothing, quilts, needlecraft, Blue Willow ware, the pump organ, Laura’s writing desk, Almanzo’s medicine chest all help to tell the story of the Wilders. From the 1990s to the present, the Laura Ingalls Wilder Home Association tackled pie-in-the sky projects. Each was achieved. Most of Rocky Ridge Farm has been re-purchased. The added acres include the 1928 Rock House, a gift from Rose to her parents, where they lived until 1937. It is now restored and part of the tour. (Laura and Almanzo enjoyed the Rock House, but eventually moved back “home” to the Farmhouse.) The Rocky Ridge apple orchard has also been re-booted. In 1971, a museum building was constructed next to the farmhouse. Convenient, but the location jarred purists. As did the curators’ house. Both encroached on the woodsy, rural setting of the Wilder home. Eventually both buildings will be razed. The plan is to return the site to its 1940s-1950s look. Wind and weather permitting, Rocky Ridge Farm, home of the Wilders, will continue to welcome visitors just as Laura did. 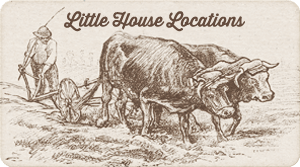 Plan a visit to the birthplace of the Little House books. The complex is one mile east of Mansfield, Missouri. Admission: Adults, 18 & over: $14.00. Children, 6-17: $7.00. Under 6, free. Admission includes an orientation film, unlimited browsing in the museum, a guided tour of the Wilder Home and the Rock House. The grounds invite contemplation and walking to the ravine, apple orchard and an operating replica of a hen house. The Museum Store sells books, DVDS, Wilder-era clothing and memorabilia. 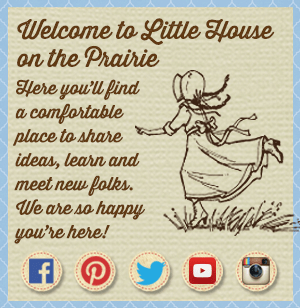 Hours of Operation: The Laura Ingalls Wilder Home and Museum is open daily from 9-5, March 1-November 15. Sunday hours are 12:30-5. 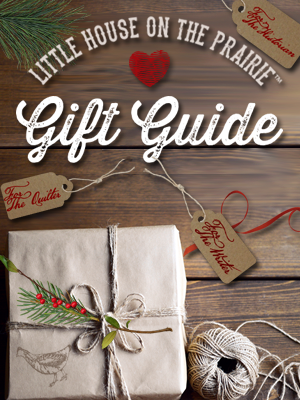 For more information about the museum and a complete list of mail order merchandise, visit the website at lauraingallswilderhome.com or call 1-877-924 7126. William Anderson was introduced to the Wilder books in elementary school, as were millions of other American children. 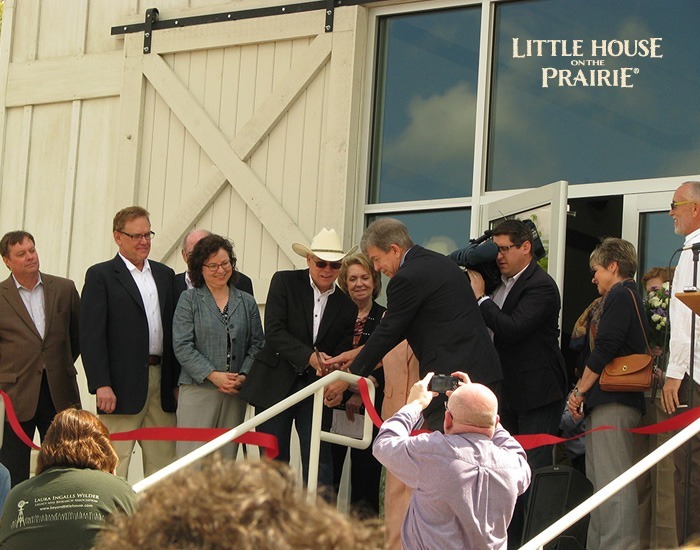 Later, his groundbreaking research on the Little House people and places resulted in a number of books published by HarperCollins, including Laura Ingalls Wilder: A Biography, Laura Ingalls Wilder Country, The Little House Guidebook, A Little House Sampler, and others. 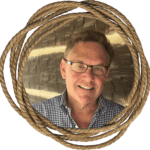 Anderson is a frequent speaker at conferences, libraries, schools and historical events. His home is in Michigan.